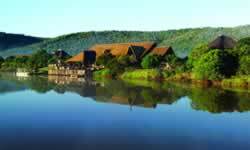 A natural extension to Cape Town and South Africa’s famous Garden Route, and only 80 minutes from Port Elizabeth, this internationally renowned malaria-free “Big-5” private game reserve is set in 10,000 hectares of pristine African wilderness incorporating the picturesque Kariega and Bushmans Rivers. 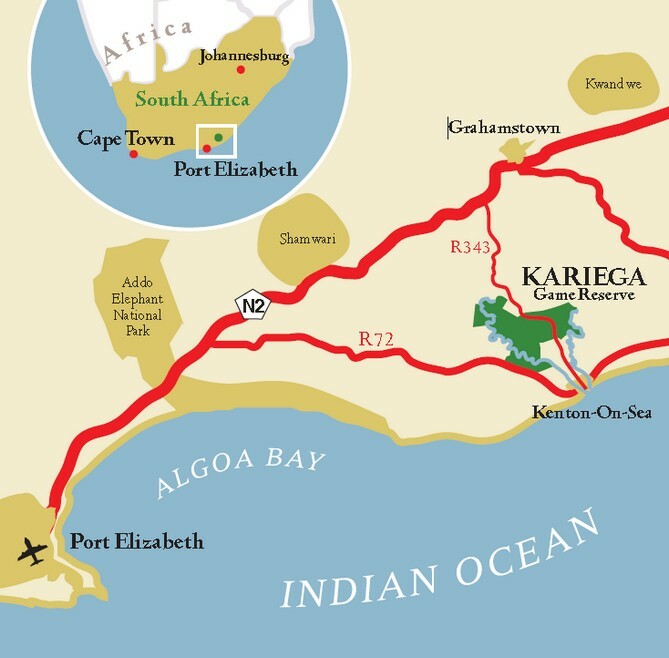 Kariega offers a combination of “Big-5” and general game viewing and an expansive variety of fauna, flora and birdlife in a landscape that spans across 5 different eco systems offering the most dramatic views and vistas. The result is very powerful and truly unique to Kariega. In addition to unforgettable game viewing from open vehicles with qualified game rangers, guests can enjoy a variety of other activities which include guided bush walks, river cruises, canoeing, a spa and gym and visits to the nearby beaches of Kenton-on-Sea. Each day, enjoy early morning and late afternoon and evening game drives with our professional game rangers. In between, relax or choose from optional activities offered at your lodge. After a final early morning game drive, we depart from the camp. Price varies by season. Contact us with your specific travel date. *Rates are per person sharing and reflect low season pricing. Seasonal surcharges will apply.